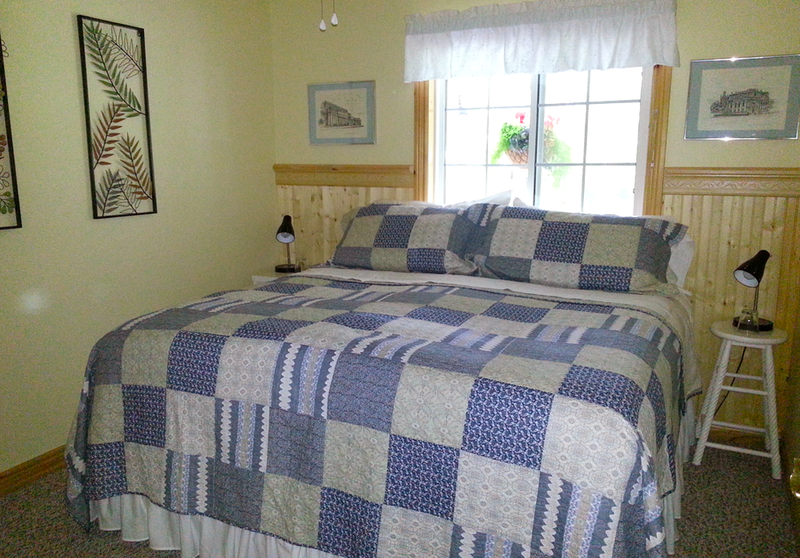 Have a look through the room offerings at our Inn / Bed and Breakfast. Lakeside room or Garden room, you're sure to enjoy your Mukoka stay. Guests are provided with hair dryers, swim towels, comfy robes and basic bath toiletries. Taxes are included in all prices. To book the room, please contact us! A full breakfast is served from 9-10am in the breakfast room overlooking Gull Lake. Early risers might enjoy coffee, tea or juice on the dock or on the verandah. Fall and winter guests can enjoy the lake view from the Muskoka Room with a morning hot beverage. Traditional breakfast recipes have been tweaked for health to leave you comfortably satisfied and ready for your day of exploring here in Muskoka. If food allergies or intolerances are an issue we would appreciate knowing in advance so we can meet your needs. Canoe and safety equipment available for our guests. Private dock with deep water swimming. Cycle some of Muskoka's best routes from our door. 2 minute drive to snowmobile staging area or connect with the trails from here. Afternoon led snowshoe trek available with Winter package. Car, Motorcycle, Bicycle, Snowmobile parking and Boat docking available. Ceiling fans in guest rooms. A/C throughout. Less than 2 days notice and we cannot fill the vacancy, 1 night rate for single night reservation, 50% of total for multiple night reservation.